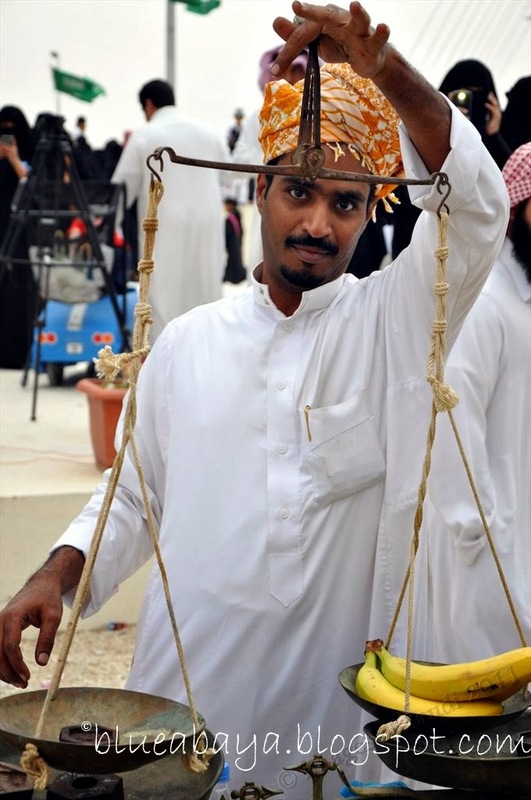 It's almost time for the annual Janadriyah Cultural Heritage festival, organized in 2013 for the 28th time. I for one have been waiting for this festival for months. I truly love going to Janadriyah and have been there every year since I came to Saudi in 2008 and some years I went on several days. The festival has surely changed a lot over the years but some things remain the same like the cheerful atmosphere. You happen to be a moral cop. Because boy does this festival have some loose morals! That was a joke btw. I need to clarify to all the close minded negative nellies with no sense of humor whatsoever out there that I know stalk this blog just to find anything at all to complain about because their lives are so damn boring and uneventful. The rest of us feel sorry for you, now move along please! Back to the topic, I think every expat in Saudi should visit this festival, not just to see the beautiful architecture, heritage and traditions of the various provinces, but to experience what the Saudi people are truly made of. This is such a unique chance to interact with Saudis from all over the Kingdom and embrace their culture. Time to take a cultural bath! Trust me you will be surprised if you thought Saudis are rigid and don't know (or want to) have fun. Boy are you in for a shocker! At Janadriyah you will see Saudi women men and children laughing and having fun in public some dressed in funny outfits or wearing wigs, hats and over sized glasses. Many women will be wearing beautiful decorations on their veils and men can be seen donning flowers in their hair! Who would have thought? At Janadriyah village you will find the young and the old, the city people and the desert dwellers, the professors and the farmers, Sunni and Shii'a, craftsmen and women, Saudis of all backgrounds, colors and regions come together. Millions of Saudis flock here every year. That is what the true magic of this festival is all about. The national pride, the unity and the sense of togetherness just can't be experienced quite the same as it can be at Janadriyah. Janadriyah is like a social experiment. An experiment that exceeds all expectations. An experiment which should be an eye opener to many. Saudis are fully capable of behaving in normal decent ways despite the mixing going on. I never once was harassed or approached in a negative way there, EVER. And let me tell you that I've visited this festival a total of 13 times with many friends of different races who share the same positive experiences. Everyone was genuinely welcomed and shown respect. No leering, flirting or passing of mobile numbers anywhere. So how is that for proof that allowing normal human interactions in the public sphere of Saudi Arabia does not result in chaos and havoc. To some Saudis at the festival, a foreign visitor is almost as much of an attraction as the actual festival. Saudi women will come up to foreign women (especially blondes I guess) for a photo, or they will secretly film us with their cameras and phones. They might be giggling, in this instance not in a bad way but a genuinely curious and friendly way. The women might be shy to approach you so I would recommend foreigners take the initiative even if you don't know any Arabic. You will not regret it. They will want to welcome you to their country, know where you're from and what you think of the Kingdom. Some might want to show you around and explain the things going on. Notice the "secret" photographers in the background :) We later talked to them and took lots of group photos. "Welcome to Saudi-Arabia" is the most common phrase a foreigner will hear at Janadriyah. I encourage everyone to embrace the culture, get to know the Saudis. Laugh with them, dance with them, joke around with them. You will soon realize that they are just like anyone, like you and me. Don't be afraid to make the connection. You will remember these times for the rest of your life as the best moments of your time in Saudi Arabia. Now I've been around a lot of expats here and I've heard over and over how it's impossible to meet Saudis or talk to them and how Saudis are such "insert negative adjective here" people. If you never met any let alone spoke to them, how can you even make a statement like that? There are rotten apples in every country and culture. Don't be that rotten apple of YOUR culture by thinking that Saudis are all bad. Don't judge the whole nation just because when you went to the shopping mall a woman cut you in line or a man didn't open the door for you. Accept that there are differences in our cultures. Now I for one can say this is not always easy. I do rant, I do complain sometimes. But you know what guys? I still keep an open positive mind. I refuse to become bitter, hateful and isolate myself from the culture I happen to live in. Some of us are here voluntarily because we were interested in the culture and the country, many came just for the money, some followed their spouses and were thus "forced" to come. Get out of your bubbles and compounds and visit Janadriyah with an OPEN heart and mind is my advice to you :) Leave your prejudices at home. Drop your guard. Open your mind. The following is a photo collage from previous experiences from the festival over the years. Please DO NOT use these images without my permission. These are some of my most cherished memories and moments from the Magic Kingdom and I am sharing them with you to spread the joy and bridge the cultural gaps out there! Notice the bloke on the left? Definitely not a Saudi but he has joined the Makkah region wedding parade. Looks like he really embraced the culture! Enjoy the pictures guys and if you like this post and Blue Abaya, please take a short moment to give some blog love for me by voting at the Weblog Awards. 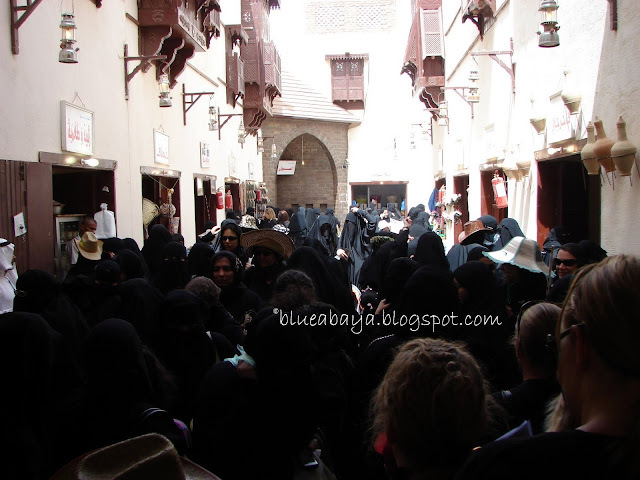 Blue Abaya is a finalist in the Best Asian weblog category. I know you can spare me a few moments and give a little something back as gratitude for sharing all the information, photos and time that I devout to you dear readers of Blue Abaya! P.P.S. The woman appearing in the photos is a good friend of mine who has worked the past five years in KSA and truly loves the Saudi culture! P.P.P.S. Janadriyah festival starts on the 3rd of April and continues for 2 weeks onward. Wonderful post and photos such a positive message that you are sending! You make me wish I were in Saudi Arabia! Did I just say that out loud??? OMG amazing photos. I was just about to ask who the lady was who we always see in your photos she looks really friendly lol and then i saw u mentioned who she was after the post. Thanks for more beautiful photos can't wait to see more. p.s. the men wearing flowers in their hair are so adorable. I really enjoy your photos. You have such a talent for capturing the essence of your subjects. This is a wonderful blog post. 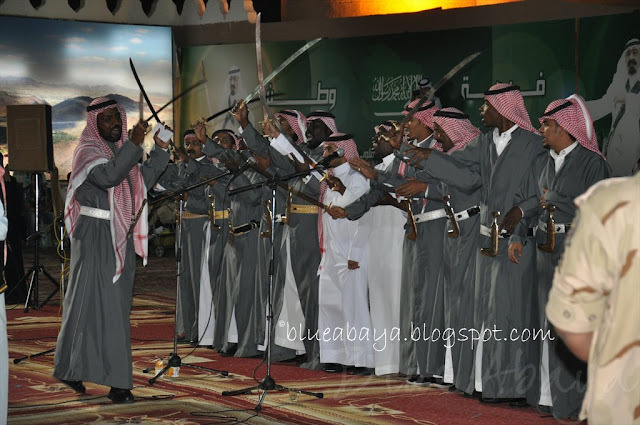 I would love to be in KSA during the Janadriyah Cultural Heritage Festival someday. 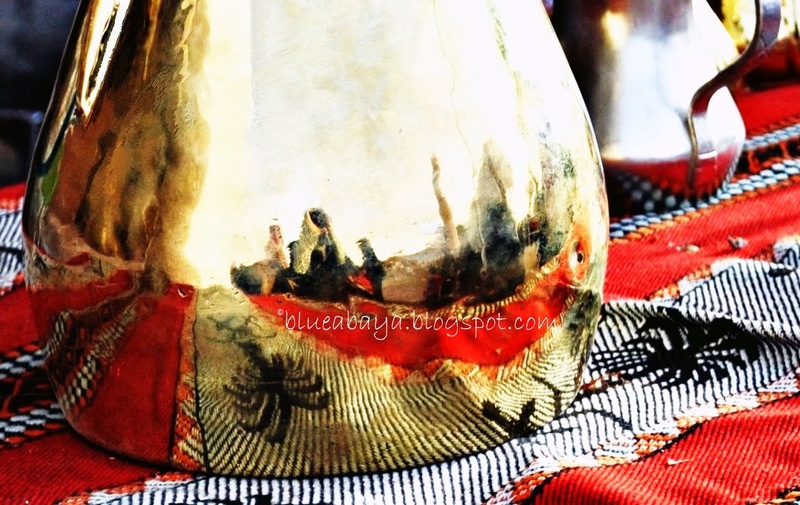 Janadriyah is amazing and you truly captured the atmosphere in each of our photo's! I love the festival as well, cant wait. I always feel so relaxed there. anon-I think the babas are really cute too, they call them the flower men of Saudi Arabia! Hi Amy thanks so much for the kind words! Hope you can experience it someday! Noor, true I feel so relaxed there as well, the atmosphere is so laid back. Can't wait to go there again next year! I went to this festival last year and I thought is was a welcome respite from the rigidities of living in Riyadh. I remember I went into a women's area with everyone watching a concert. Some women, a group of about 5 started dancing, just swaying to the beat. Immediately a mutawa came with his little stick yelling, "La tafasad", meaning not to lower your morale. The young ladies were forced to leave with their mother, lamenting as they had to walk out. I did really enjoy the festival though, it is truly impressive. This is my third gulf festival. Oman has a wonderful one as well and I went to a new one in UAE in "Al wathba" near Abu Dhabi this year. It was amazing they had famous Arab singers there and free camel and horse rides for children. They are rare opportunities to understand the regions culture. Thank you for the post..looking forward to visit the festival, first day itself. OMani Princess and Soile-I hope you both get to visit next year! Hi Sarah thanks for letting us know about these festivals, do you know the time they usually arrange them and what is the Omani one called? Good pictures..All you need is love..With your love and understanding ,the Saudis will go out of their shell.If not this year,the year after . "Inshallah". Apparently Jackie Chan's coming to the festival this year as a cultural ambassador representing China! Layla: You're welcome :) Yah, I was thinking of driving out there for the festival. We are coming from Ras Tanura. The one in UAE was in winter, the thing is they advertised it in Arabic primarily. 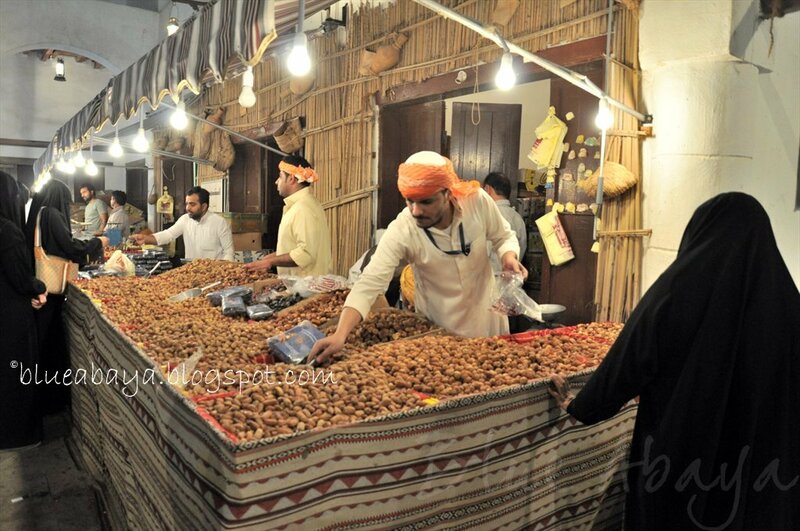 They call the festival in Oman, the Muscat Festival. Here is the website. Every year I've wanted to go and every year something has come up, but this could be my lucky year. Any idea about the schedule? Family day? VIP day? Men only day? I drove an hour and a half to get to the festival with my wife last nite only to be refused entry at the gate! The guard who stopped us would not even attempt to speak to us to give us a reason only looked away but thankfully another guard shouted over "No women allowed til the day after tomorrow." So much for the wonderful atmosphere of men and women mixing together! Sorry to hear that David! I guess rule number one for any event in the kingdom is to check the family and men only days before going to avoid these kinds of situations..but they've happened to all of us at some point, do not fret! Like I mentioned on this blog before and the Blue Abaya FB page, family days will start next Monday and until then it is men only.